Boards of education are a mature and tested institution in Ohio. School board members make policy; approve contracts with employees; approve curriculum; adopt budgets; and select a superintendent and treasurer to administer the district. They do all these tasks with the emphasis on what’s best for the kids at Garfield. Being an effective school board member is no easy task. School board members need to be knowledgeable about many complex education and social issues, and carry out initiatives and programs from both federal and state governments. To face these demands of governing our public schools, they give countless hours of personal time. A public board of education is a legislative body of citizens elected locally by their communities. Garfield's School Board consist of five community members who serve four year terms of office. Through dedicated, responsible endeavors, our school board members serve the Garfield School community — and serve the needs of our kids. They ensure that decisions about programs at Garfield are made as close to the needs of our communities as possible. Their public service is an excellent example for young and old alike of the tradition of volunteerism that is a hallmark of American society. Our school board is just one of the more than 700 boards across Ohio. Join us in saying “thank you” to our board members in what is perhaps the purest form of grassroots democratic principles upon which our republic was founded. 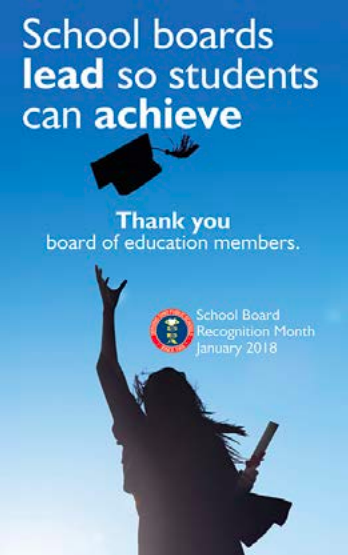 Together our board of education has over 79 years of experience, and over these years they have made a very positive difference in our community for thousands of students! Thank you to the James A. Garfield Board of Education for your outstanding stability and leadership for our kids and community.